I have a passion for creativity and a huge heart for kids. I believe in the possibility of dreams/goals and the power of the right attitude; determination, perseverance, teamwork and encouragement. I like to bring this to the schools I visit and hopefully inspire and encourage the pupils I meet. Ernie Gonzales Series; Wholesome, humours, adventure stories with strong morals, great for rights respecting schools, building self belief, determination, friendship, teamwork, aimed at ages 7-11 but can be used for year 6 leavers, and good for on going schemes of work and lessons. The Well of Dreams; for African themes, believing in a dream, understanding different cultures, empathising with those loving in poverty, believing in the impossible. Fun and engaging book readings and question & answer session. Plus meet the author book signings. Free comprehension worksheets for on going work leading on from my visit. Plus colouring sheets and posters. Free signed copy of each of my books for the school. Free stickers, bookmarks as stock allows. - Book reading, Q & A and book signing; approximately 1- 2 hours. No charge, (this depends on distance, and is at my discretion) however, I ask you cover petrol cost if your school is more than 5 miles from harrow, and pupils are given the opportunity to buy copies of my books. - Meet the author classroom visits: full day. Cost £165. Includes a visit to each class/year group, book reading, question and answer sessions and depending on time I can include a short comprehension activity or talk on story writing. Plus books sales and signing. - Workshops £250 - £350 per day (depending on amount of workshops required). Plus books sales and petrol. Skype reading and question sessions; £60 per hour. I may charge for travel cost (petrol), if your school is more than 5 miles from Harrow. Also, for journeys of an hour or more I may request accommodation in the area. These will be billed accordingly and agreed in advance. I am based in Harrow, London. All prices above are subject to change depending on the requirements of the school, please enquire for more info. Any cancelations must be made 2 weeks before the date of my visit, otherwise the visit must be paid in full. I currently tutor creative writing privately in my local area and online. I really love my work, it is a joy to be able to use my skills to teach, encourage and empower children to express their voice through their own writing. I focus on breaking down how to write a story using the story hill template to build a basic plot and then work with pupils to identify the ‘ingredients’ that are needed in their story, such as action descriptions, setting the scene etc. 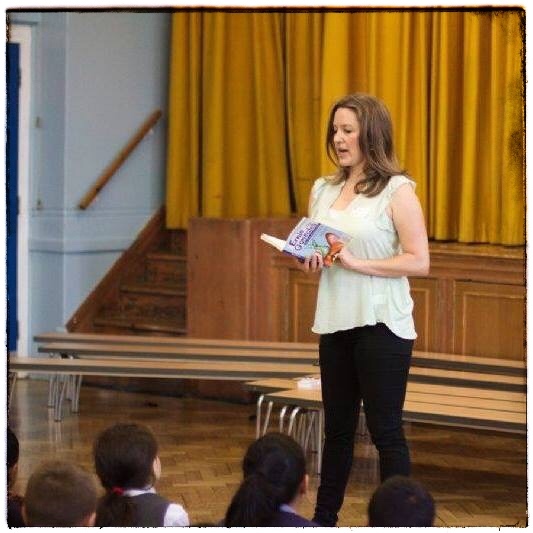 My previous school visits include both creative writing and determined dreamer workshops, plus weekly sessions spread over 4 weeks on being determined which also included comprehension activities and which lead to a final persuasive writing piece. Previously, I have worked as a teaching assistant, and a drama teacher in a college for young adults with learning difficulties. Also as an outdoors activity leaders for NST (similar to PGL), where I lead team building activities for primary aged pupils, and variety of summer camp, including Camp America, where I ran creative drama activities which focused on team building, self confidence. During this time I created plays from books which was the beginning of my passion writing and working with kids. Using words to communicate a picture in the form of a story. I love the power of words and how they can create a picture in our minds, take us on journeys and stir our emotions. I think kids are amazing and my vision is to not only share with them my own passion for creative writing in the hope that it inspires them to enjoy this art, but to also share my own journey to achieve my dreams, teaching them that nothing is impossible if they put their mind to it, work hard and believe they can do it. ‘Ernie holds a wealth of morality for children to get to grips with- self- worth, determination, resilience, persistence, dreaming big etc.' D.Mendonca. Pinner Park Infant & Junior, Head of Literacy. ‘A great mixture of fun and excitement with cliff hanging sentences. Also filled with lots of morals for children to think about as they are reading. The children in my class sat on the edge of their seat waiting to hear what happened next!’ Steven Gibson. Teacher, Roxbourne Primary School. 2 short book readings and question answer session (half school each). Followed by 4, one hour workshops, (or 2, two hour workshops). However, this is only a guideline and I am more than happy to accommodate your school needs as best I can, for example, you may wish me to also visit years 5 & 6 also (I have found years 5 and even 6, to be very responsive and engaging during my visits). I have had 3 books published, including the Ernie Gonzales Series, and the accompanying literacy workbook for key stage 2 pupils. My most recent book published, The Well of Dreams, was illustrated by primary school pupils in my local area as a way of raising money to send books out to underprivileged schools in parts of Africa to inspire them to engage in reading books. 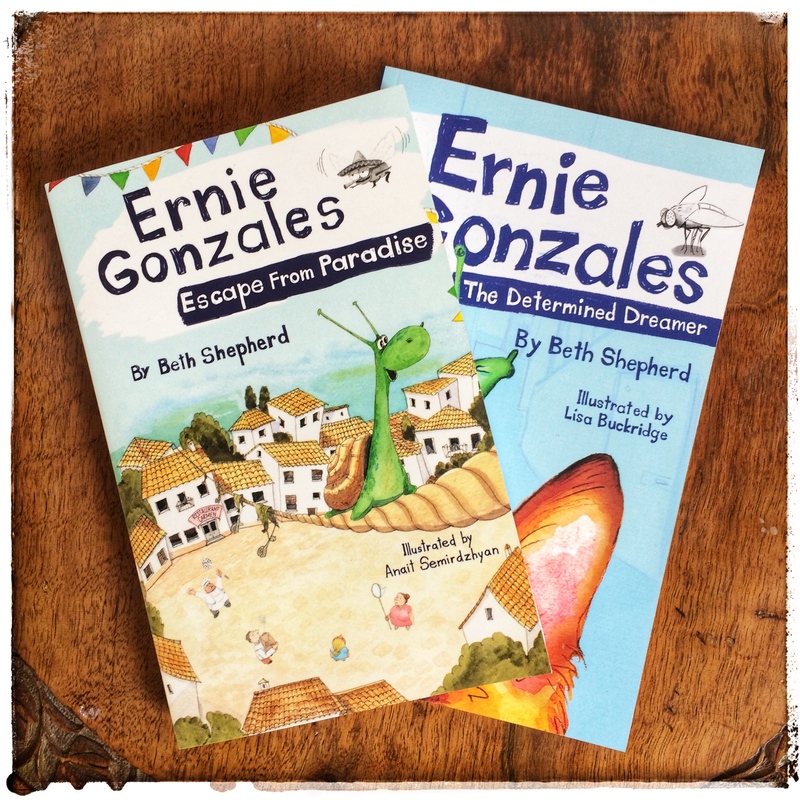 My Ernie Gonzales series, is about the adventures of a brave Spanish snail, and demonstrates that nothing is impossible if you believe and are willing to persevere, and have inspired many young determined dreamers to go for their goals. 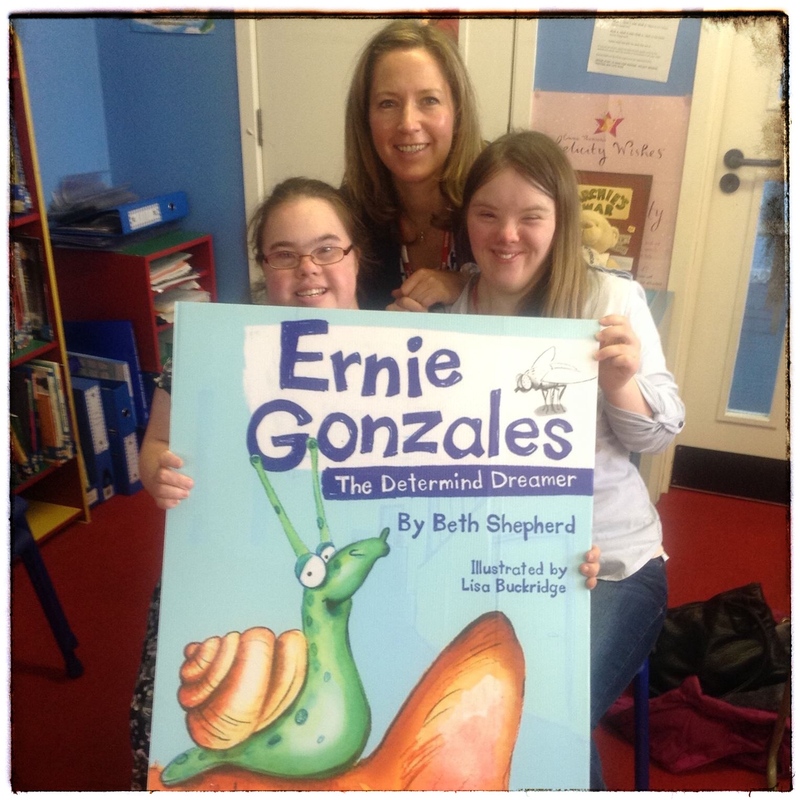 Ernie Gonzales is a small, ordinary snail with a big, extraordinary dream! Inspired by his Papa's tales of a legendary snail paradise, Ernie bravely sets out on a daring journey to find it. Joined along the way by the most unlikely of companions, he is soon swept up in a more dangerous and exciting adventure than he could have ever dreamed of. Bruce, Ernie and all the snails of Viñuela are loving life in their paradise garden. But one awful day Ernie wakes up to discover that Bruce and all the snails have gone! Local chefs have kidnapped them to cook them in a giant snail paella! But before Ernie and his grandpa, Manuel, can do anything they get caught by terrifying thug slugs! Will Ernie and Manuel escape from the thug slugs? Can Bruce find courage to save the snails from being eaten? Will they ever be together again?